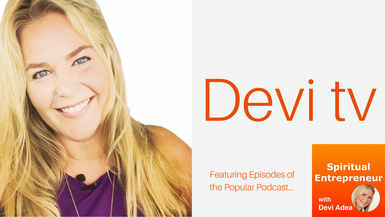 (Septemberfest) In this episode, Devi chats with Kim O'Neill about “How to Move Forward When You Don’t Know How”. Kim is a former Crime Analyst who now provides personal empowerment and interview confidence coaching for heart-centered professionals and youth (1:1 and groups). She’s also the host of the “Every Day is a New Day” Show - inspired conversations about moving forward and choosing to embrace a positive outlook. In 2017, she co-authored the Amazon bestseller “Positive Minded People: Inspiring Stories of Overcoming Adversity for Living a More Positive Life.” As an inspirational speaker, Kim aims to remind audiences the importance of knowing who they are; about the informational value of their emotions; and how to move forward when they don’t know how. Kim’s philanthropic work includes youth mentoring and interview workshops.